Benefits: Acne, circulation, depression, frigidity, hair growth, high blood pressure, hypertension, impotence, insect bites, insomnia, nervous tension, oily skin, PMS, regulates cardiac and respiratory rhythms. Of Interest: Indonesians spread the luxuriant flowers on the marriage bed of the newly wedded couples. 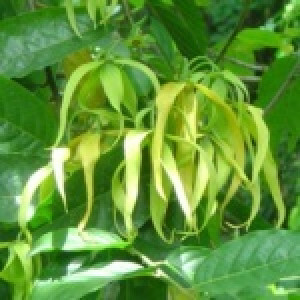 Ylang means “flowers of flowers”, sometimes called “the perfume tree”. Safety Data: Non-toxic, non-irritant, a few cases of sensitization reported. Use in moderation, since its heady scent can cause headaches or nausea.